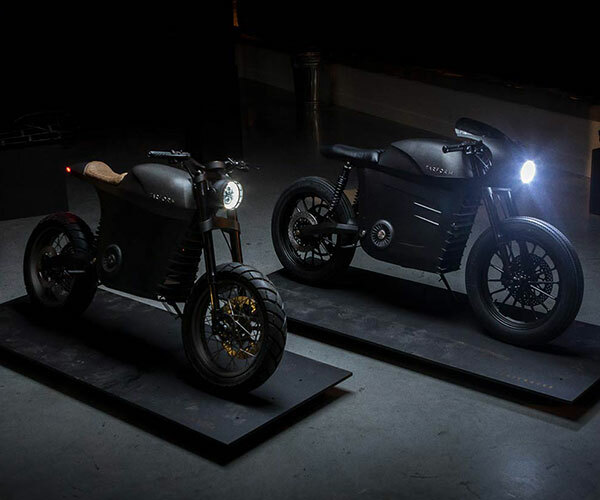 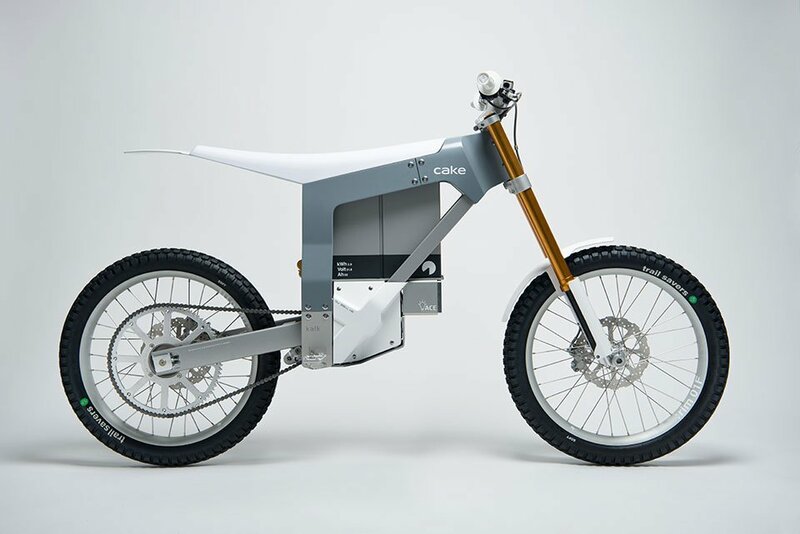 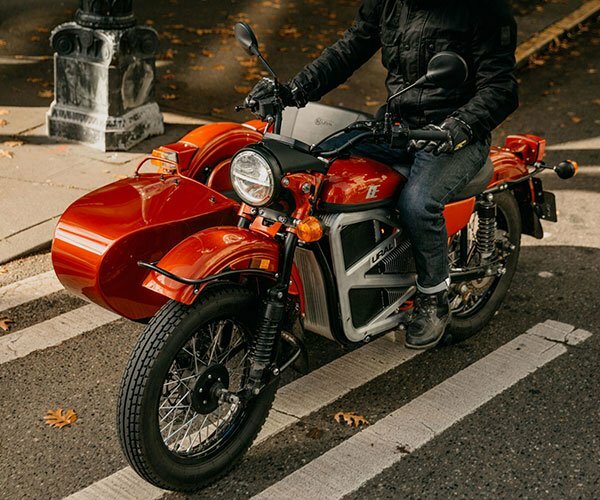 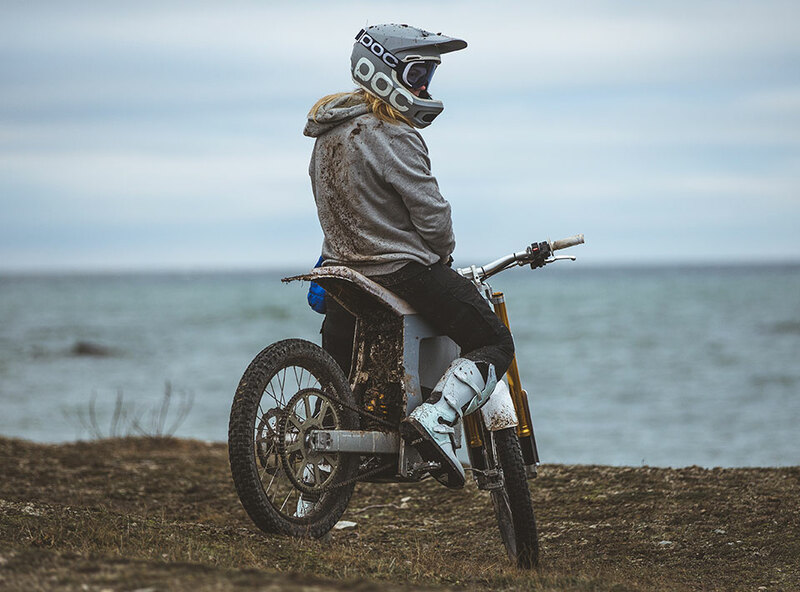 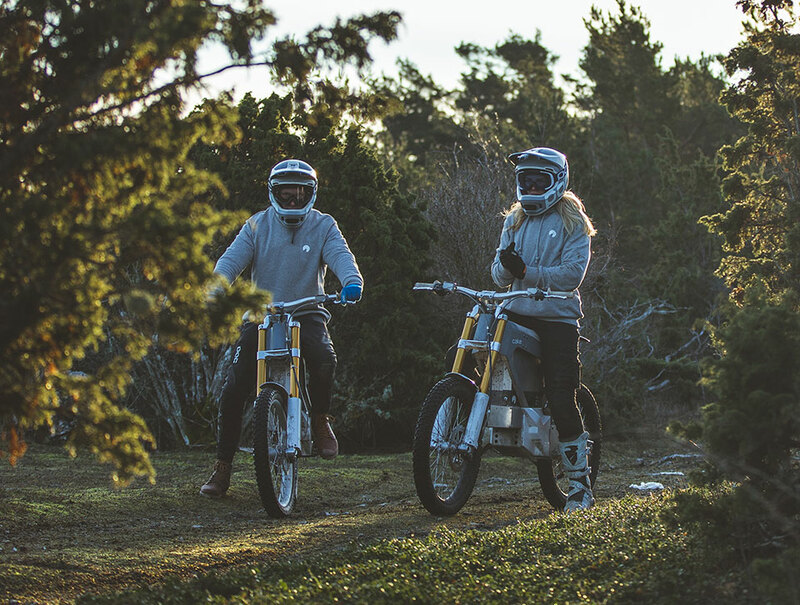 The Kalk is an electric dirt bike designed to be light while still able to take a beating. 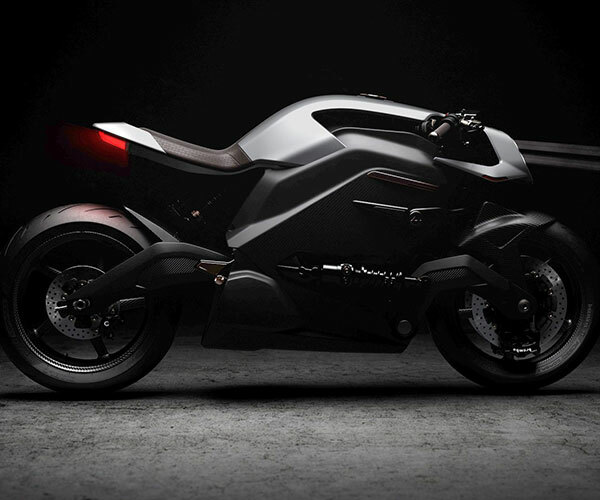 It weighs only about 150lb, thanks to its aluminum frame and swingarm and carbon fiber body. 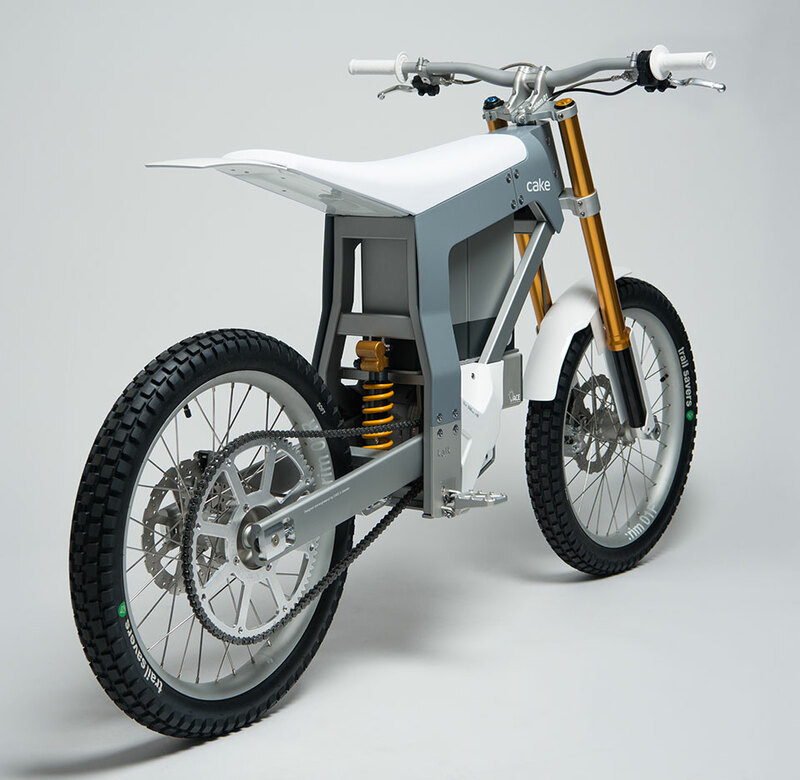 It also has custom designed Öhlins suspension. 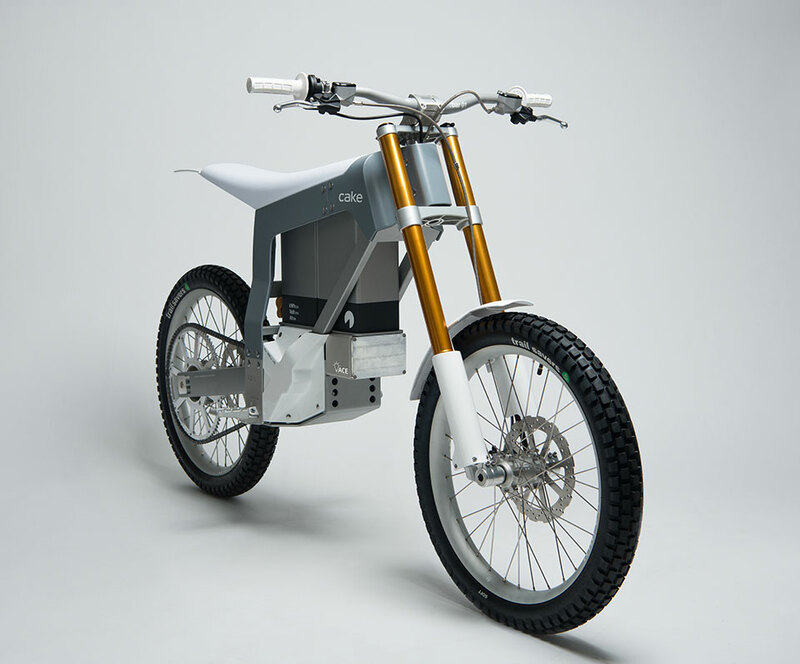 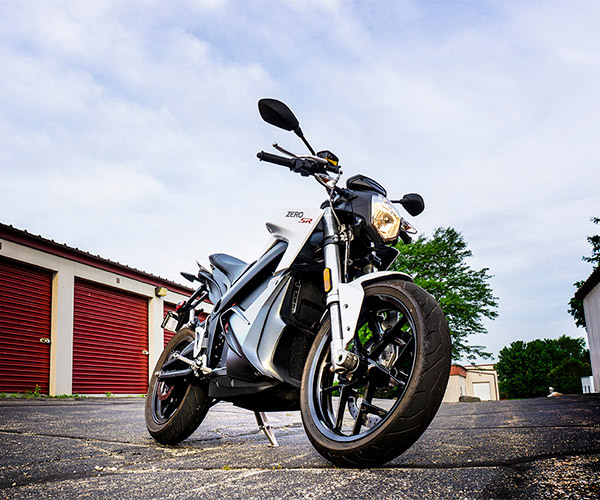 It goes up to 50mph and lasts up to 50mi per charge.